Located at 120 E. Main St (US 40), Centerville, IN 47330, D.I.S. has been serving Indiana and Ohio on since 1969. It serves the community with coverages for Medicare Supplements, Health, Life, Auto, Home, Church, Business, Trucking, Not-for-Profit, Bonds, and more. 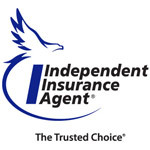 The mission of the agency is to provide the tools to each person/family/business owner to enable them to make a wiser decision on their own asset protection and on ensuring the care of their family with Life Insurance. It has access to a large base of companies from which to serve various needs of people in the region. Dale has been in the industry for 40+ years and has the full enjoyment of serving people and meeting their needs in many ways, including protection of their assets. Dale's training through multiple companies has been thorough and his desire to remain up to date in his knowledge base keeps him learning daily. His wealth of knowledge is a valuable asset to the other producers in the agency. Dale's roots were in the farming community and he also served his nation as a US Marine. He never lets an opportunity slip by to thank a veteran for serving our country. Cynthia's (Cindy's) career includes many years office management experience and several years' banking experience. She and her husband have two daughters and 3 grandchildren that are the joy of their lives. She attended Olivet Nazarene University and Ball State University. Her father was a Life insurance agent near downtown Detroit in early days and he actually ‘walked the route’ daily downtown to visit his clients to collect their premiums, and even had a client insured who was one of the Motown Greats. Life insurance is so important to Cindy that she daily looks forward to sharing the opportunity with more people. She is excited to be in the insurance industry and is glad that it gives her the opportunity to meet new people and to offer them tools to protect their homes, vehicles and business assets. Ken serves as a real asset to the DIS team with his knowledge of retirement products as well as serving people of this region with the tools to protect their assets and their families later on. He graduated from Indiana University East and has been in the industry 15 years, specializing in Medicare Supplements, Life insurance and Annuities. He loves spending time with his wife and 4 children (as you will see when you view his business card) as well as spending time in the woods during hunting season. His passion for children's sports, hunting, and chatting with new people, shows that Ken is a well rounded, friendly personality. Jeff comes with a background of administration and finance and we are so pleased to have him on our team. Jeff's character and reliability are a great asset to assisting clients with protecting their assets and making sure that their families are cared for if the unforeseen occurs. The deep love of his family makes him know what is important to the client.